The market for small satellite has been gaining significant traction across the world, thanks to the technological advancements. This report analyzes and forecasts the market for small satellite at the global and regional level. The market has been forecast based on volume (kilo tons) and value (US$ Mn) from 2017 to 2025, considering 2016 as the base year. The study includes drivers and restraints of the global small satellite market. It also covers impact of these drivers and restraints on demand for small satellite during the forecast period. The report also highlights opportunities in the small satellite market at the global and regional level. It includes detailed value chain analysis, which provides a comprehensive view of the global small satellite market. Porter’s Five Forces model for the small satellite market has also been included to help understand the competitive landscape in the market. The study encompasses market attractiveness analysis, wherein product type and application are benchmarked based on their market size, growth rate, and general attractiveness. It also provides the actual market size of small satellite for 2016 and estimated market size for 2018 with forecast for the next eight years. The global market for small satellite has been provided in terms of revenue. Market volume has been defined in kilo tons, while revenue has been provided in US$ Mn. Market numbers have been estimated based on product type and application of small satellite. Market size has been provided in terms of global, regional, and country level markets. Small satellites are miniaturized satellites with mass usually ranging from 1 to 500 kg characterized by low budgets required for making them and with a lifespan of two to five years. The advent of these satellites has opened up an exciting paradigm in application areas that increasingly rely on space information and intelligence. Small satellites are poised to transform applications such as weather prediction, military surveillance, telecommunication, and monitoring of air and sea traffic, and forecasting of crop yields. The rapid pace of development has enabled scientists and students to make small satellites equipped with functional capabilities comparable to that of large satellites. Moreover, these can be launched without worrying about the exorbitant cost factor. The continued reduction of cost of building satellites is underpinning the rapid evolution of the market world over. The sustained drive for reducing the cost of mission of space exploration is a key factor propelling the growth of the small satellite market. Over the past few years, there is staggering rise in investment made by startups and venture capital firms. These companies offer services for private customers and commercial users to enable them to launch small satellites. The burgeoning demand for such satellite launch in various parts of the world will help the market expand rapidly over the years. As a result, satellite operators are augmenting their launch capacity. The constantly rising demand for low-cost operational services is a notable factor boosting the small satellite market. In recent years, the launch of small satellites by universities, research groups, and technology companies has proliferated in number in several developed nations. Of special significance is designing of small satellites by university students and then putting them into the orbit for educational and research purposes After seven years of relentless research, students at Brown Space Engineering Club of Brown University have designed a small satellite called EQUISat. The satellite is of 4 inch cube and was launched from NASA's Wallop Flight Facility on May 20, 2018 and is included in the supply capsule of a NASA space station. According to a student of the University, the small satellite will be used to test new battery technology based on lithium ion phosphates. The batteries can be used for powering applications which includes powering a NASA’s newly planned rover. The cost of making EQUISat was a modest US$3,776 and the wiring and circuitry was done by students without using machines. The small satellite will remain in the orbit for up to a period of two years, after which it will get burnt while falling toward the earth. This is a great way of promoting education, according to one of the team members. Such developments contribute in steady evolution of the market. The report offers in-depth insights into prominent regional markets, assesses factors driving their growth, and highlights lucrative prospects in key regions. North America and Europe are expected to be potentially rewarding regions as companies are increasingly developing dedicated launch vehicles for small satellite operators. The substantial rise in venture capital funding in these regions in recent years will also catalyze the growth of these regional markets. 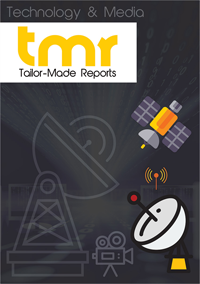 Meanwhile, developing regions such as Asia Pacific are expected to present promising avenues for satellite operators after a number of players are focusing to tap into latent opportunities found in these markets. A growing number of players are engaged in providing dedicated end-to-end management services to offer launch flexibility to various small-satellite operators. Some of the prominent players operating in the small satellite market are the Aerospace Corporation, Airbus Defense and Space, Orbital ATK, Spire Global Inc., Boeing, Thales Alenia Space, Space Exploration Technologies Corp., Northrop Grumman Corporation, Planet Labs Inc., and Sierra Nevada Corporation.